The Hardox Wearparts® network has been growing fast and in early June it reached a new milestone of 400 centers in 85 countries. We will continue growing the network fast to support our customers with wear parts and services worldwide. “For us it is important to have reliable program members – local companies that know the local business. Feedback from customers is extremely important and the network is essential in collecting this feedback. In the long run, we are aiming to be the leading manufacturer and supplier of wear parts and wear services globally,” says Gregoire Parenty, Head of SSAB Services. It is rewarding to be a Hardox Wearparts® member, since centers regularly expand their business faster than the general market. In 2017, the Hardox Wearparts business grew by some 12% year-on-year and this good development continued during the first quarter of this year. So also sales have grown and we are heading in the right direction. Development has been very strong for example in North America and in Mexico. Also many major European markets like Germany, Italy, Poland and the UK were positive as well as markets in Australia, China and Japan. 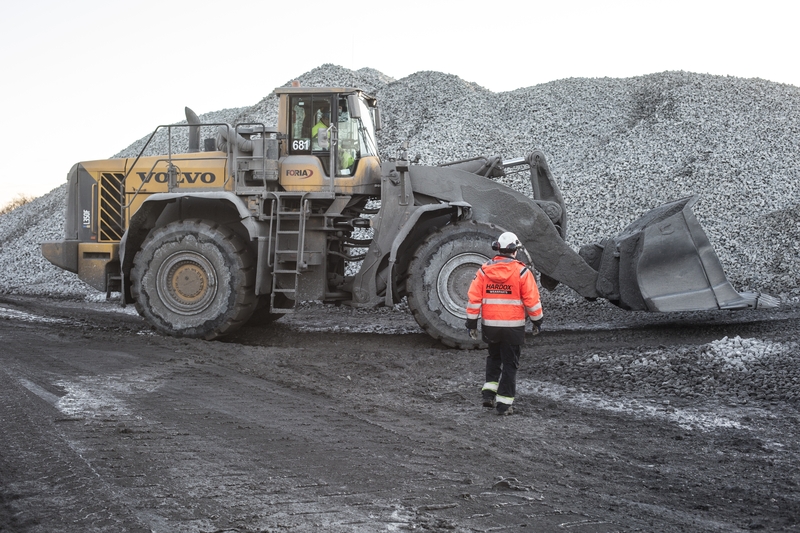 Hardox Wearparts® centers provide replacement parts and services to end customers in the mining, recycling, quarrying, cement and agriculture sectors. “A Hardox Wearparts® center gets access to our strong brands and proven concepts, top-of-the-line products as well as business support, technical support and marketing support. We assist them in developing their business in a world leading wear service network,” says Erik Sundström, who is responsible for development of the network. One example of the support is the campaigns targeted to different end-user segments, like the mining, recycling and cement segments, and additional campaigns are planned to follow. SSAB is supporting Hardox Wearparts® centers with sales and marketing tools both at the global and local level. The Hardox Wearparts® Award is a global competition for members of the Hardox Wearparts® network. The award is made annually to Hardox Wearparts centers for developing innovative wear products and services. This year, the jury selected French company Barou Equipements SAS for the innovative way in which the company combined Hardox® and Strenx™ grades to optimize strength and wear resistance. End-users can find their nearest center by list, map or filter on center capabilities on the Hardox Wearparts® website. The global website is currently in 10 languages: English, Chinese, German, Italian, Polish, Portuguese, Russian, Spanish, Swedish and Turkish. The French language version will be launched soon.